We’ve all been there. So close to clicking “purchase” but it’s just not the right time… In these moments, a well-timed offer could make the difference between a missed opportunity and a sale. 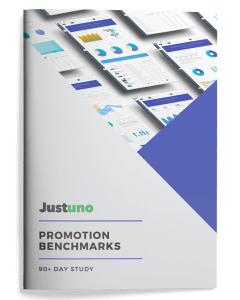 With Justuno you can make that difference. Curate your customer’s journey to offer incentives, endorse your services, or showcase your products. Track which exit offer converts the most customers with detailed analytics on every customer action. Justuno integrates with virtually any e-commerce platform, including Shopify, Shopify Plus, BigCommerce, and Magento. With these enhanced e-commerce integrations, Justuno is able to pull very specific data and allows you to do things like show specific exit offers to a visitors based on the items in their cart. 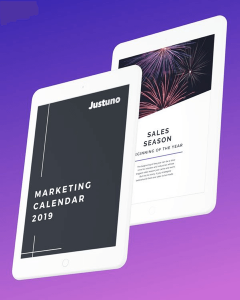 The core of our technology, Justuno’s visitor intelligence data, is layered into every aspect of our products.For example, with cross-device tracking, Justuno is able to recognize the same visitor across mobile, desktop, and tablet. With that knowledge, there’s no more showing repetitive offers to the same people. Using our powerful advanced targeting rules, you can tailor your exit offers to specific segments of your website traffic. 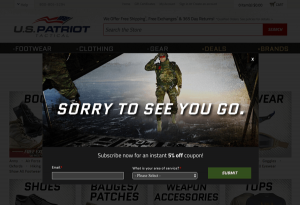 Target visitors from paid social with a unique exit intent discount. Craft a different one for visitors from email. Segmentation makes people purchase. Despite all of the time, money and effort you spend driving traffic to your site, the majority of traffic leaves without converting into a lead or a sale. The average conversion rate for websites is 2.35%. This means that 98% of the traffic driven to your website does not convert. Exit offer technology uses pixel tracking to track a visitor’s behavior on your site and determines the exact moment that a visitor is about to leave your website. This allows you to present an offer, message, or call-to-action to leaving visitors in order to keep them on your site and drive a specific action. To provide value to your visitors, offer coupons, a free e-book, a gift with purchase, or entry into a sweepstakes to win a high-ticket item. While timing is an important part of a successful exit offer, an incentive is a proven way to change your custom behavior in your favor. Start with confidence building messages (like “free shipping”) or add unique coupon codes for dynamic discounts on cart totals, products, or services. Creating urgency, scarcity, and exclusivity around your offering is incredibly effective at driving people to take action. This also applies to getting your traffic to convert. Including a countdown timer on your exit pop-up will push website visitors further down the funnel with pressure of urgency and scarcity. The first component of an effective exit pop-up is its ability to grab the shoppers’ attention. There are several ways that marketers accomplish this. A great place to start is pop-up design. Bold and clean designs generally perform well because they stand out while still showcasing the marketing message. The design of your exit pop-up should attract visitors to engage, not distract visitors from taking action. Learn more about designing effective and successful exit offers, and best practices for tracking your customer behavior. Explore our blog for even more strategy tips and inspiration. As digital marketers, we’re all trying to convert a higher percentage of our website traffic.